You are here: Home / Home / Law Guide / Car Accidents / Car Insurance and Auto Accidents: Are you covered? Do I need auto insurance? If so, how much do I need? Am I getting a good deal? These are all commonly asked questions that this article will answer. Utah is a mandatory auto insurance state. That means that state law requires each driver to carry some auto insurance before they get behind the wheel. All that the law requires is a 25/65/15 liability policy and a $3,000 no-fault personal injury protection policy. Uninsured/underinsured motorist coverage is not required, neither is collision or comprehensive coverage for your own vehicle damage. Even though you do not have to, it is highly recommended that you do add those optional types of coverage to your policy. So what does 25/65/15 mean? Liability Coverage: Those three numbers represent 3 different amounts that are a part of a liability coverage policy. Liability coverage is sometimes considered the most important type of coverage because it helps driver’s pay for damage that they cause to others. If you cause a car wreck, and you injure someone else and damage their car. They can get up to $25,000 per person, and up to $65,000 total for all people involved for their bodily injuries suffered as a result of the accident. Let’s say you rear-end a car with three passengers. Unfortunately, they all get hurt. You don’t have any money to pay their expensive medical bills, but it would not be fair to make them pay for it all themselves when you are the one that ran into them. If you have the state minimum policy, they could get up to $25,000 for the first person, up to $25,000 for the second, and up to the $15,000 remaining for the third. That would total $65,000 while no one person would get more than $25,000. The final number, the $15,000, represents what they could get to fix their car. It is the property section of the liability coverage. If they were driving a car worth $30,000, and you totaled it. Your insurance would pay them $15,000 towards fixing their car before they are off the hook. P.I.P Coverage: Personal injury protection coverage is coverage that guarantees that your own insurance company will pay for your own medical bills. In Utah, this type of coverage is required to be $3,000 or more. The reason for this is that Utah has a no-fault law. This means that your insurance will pay up to $3,000 for your injuries after an accident regardless of who’s fault it was. After that amount, you better hope that the other driver has bodily injury liability coverage or that you have uninsured motorist coverage. Comprehensive/Collision Coverage: This type of coverage is often required by your bank when you take out a loan to buy a car because this is the coverage that covers your own property damage. Banks don’t want to risk you not being able to pay down your loan in the event of an accident. Collision coverage pays to repair you car if you are hit by another vehicle. Comprehensive coverage pays for damage to your vehicle that comes from any source such as theft or vandalism. 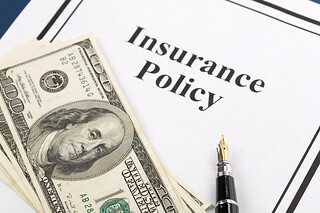 Uninsured/Underinsured Coverage: This type of coverage is very important if you would like to feel adequately protected. Very few car accident injuries can be completely taken care of by the $3,000 PIP coverage. So victims often need some of the money available from the at-fault party’s liability coverage. In the event that the other driver does not have coverage, or does not have enough coverage, the uninsured and underinsured coverage’s on your own policy can kick in to protect you. Bare bones insurance policies are quite inexpensive for consumers with good driving records, but it is important to meet with an agent and make sure that you have the right amount of coverage to protect you and your family.